GeoHot, the genius behind the original iPhone jailbreak, was arrested today for possessing marijuana while he was driving to the annual SXSW conference in Austin. On his way to give a talk at SXSW, he reportedly had to pass through a border patrol checkpoint in Sierra Blanca where the Department of Homeland Security had drug dogs that barked at his car. He was then pulled over for more searching. GeoHot has a medical marijuana license in California, where he lives. In the car’s glove box, Hotz apparently had 1/4 oz. of marijuana and chocolate edibles equivalent to less than 1/8 oz. of the drug. 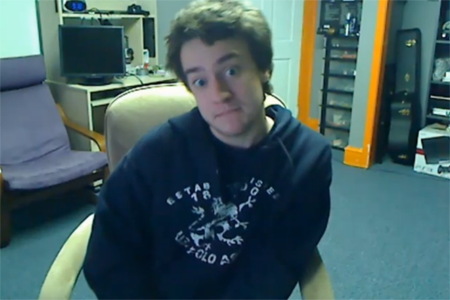 Hotz was booked for a felony and posted $1,500 bail. Interestingly, GeoHot did eventually make it to SXSW and give his talk. You can listen to it here: The Final Frontier of Reverse Engineering.